Journalism graduate, die-hard foodie and aspiring writer. It's at exactly this time of year, every year, when New Years resolution of 'getting fit' and 'losing weight' seem to go flying out the window. The will to chomp on leafy greens and grilled meats seems to dissipate; replaced with an un-yeilding desire to consume your body weight in rich, hearty meals. What it lacks in décor it makes up for in flavour. 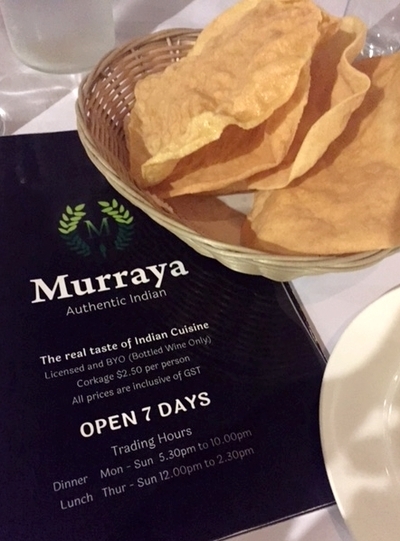 Murraya, located on the Kingsway in Sydney's Sutherland Shire, delivers generous and authentic Southern Indian cuisine - rich and heavily spiced - that is perfect for warming you from the inside out when the weather turns and the nights get longer. While the restaurant itself lacks any 'vibe,' and in all honesty feels a little lonely in the shadow of Westfield Miranda looming across the street, what Murraya lacks in character it more than makes up for it with its flavoursome exotic dishes. From the shores of Kerala to the shores of Cronulla. Papadums and chilled tap water, along with an extensive menu, are promptly deposited on the table by wait-staff after seating. With chefs hailing from Kerala, a tropical palm-lined and sandy beach covered region in Southern India, there is an emphasis on regional ingredients, especially seafood dishes, along with all the standard Indian restaurant staples. Vegetables taste so much better deep fried. Vegetarians and omnivores alike will delight in the generous and hearty selection of vegetarian entrées offered. Golden and crisp, the vegetable samosas ($7.90, two per serve) stuffed with a spiced potato and pea filling make for a perfect start to the evening. 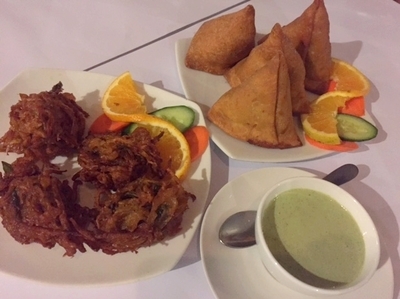 Likewise, the onion bhaji ($9.90, four per serve), patties of sweet onion and aromatic ginger and coriander, are moreish and packed full of flavour. So many options, so little stomach space. 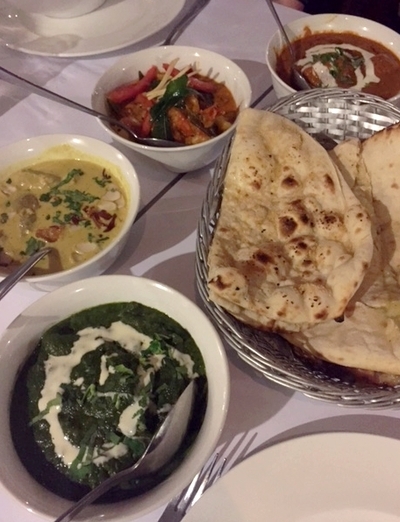 Indian cuisine is all about sharing, so when the main meal arrives everything is placed in the centre of the table and everyone is encouraged to dig in. Baskets of golden blistered naan bread stuffed with cheese and smeared in butter and garlic are passed from table end to table end and calls of; "can you pass the ..." echo through the otherwise quiet restaurant. Watch out - this curry starts off sweet then turns nasty. Prawn malabari ($24.90), a traditional dish in the Kerala region of India, combines succulent prawns in a sweet and spicy sauce flavoured with fenugreek, mustard seeds and turmeric. This dynamic dish lulls you into a false sense of security with its initial sweet disposition, then strikes the palate with an intense chilli kick. The palak paneer ($16.90) on the other hand packs a different kind of punch. This vividly green spinach curry cooked with chunks of tender paneer cheese admittedly looks a little suspect, but actually tastes delicious, with a combination of rich, creamy spinach and a hit of pungent, earthy spices that clear the sinuses. Can't handle the heat? This mild, creamy curry is for you. On the other hand, the murgh makhani and the Lucknowi khorma are perfect for those after the comfort of a curry without all the heat. 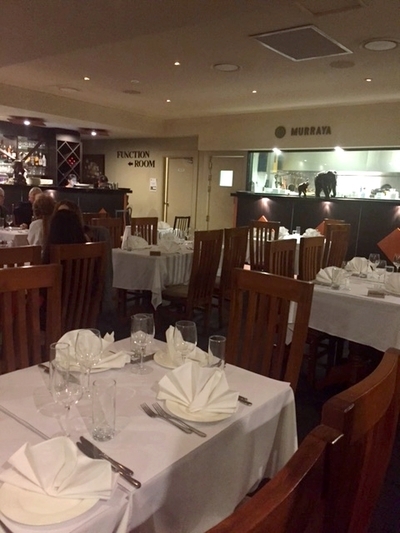 The murgh makhani ($20.90), better known as butter chicken, is sensational at Murraya. The chicken has a distinct charcoal flavour from the tandoor and the curry is rich and well balanced with both spice and sweetness. 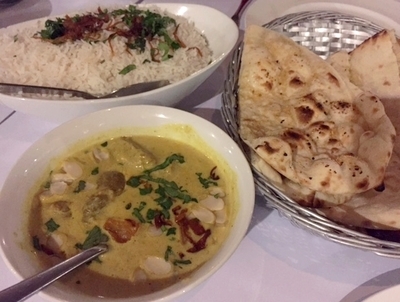 Likewise, the lamb khorma ($20.90) combines tender morsels of lamb in a cashew cream sauce that is enriched with a selection of aromatic Indian herbs and spices - perfect for those less enthused by the thought of singeing their tastebuds. Flavours are bold, portions are generous and service is polite and efficient at Murraya. 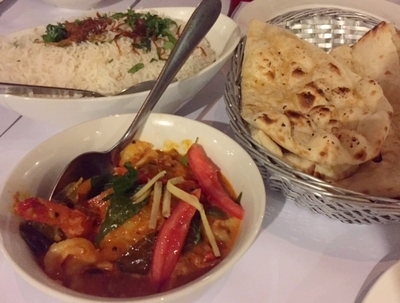 While the restaurant lacks personality, Murraya does successfully deliver authentic and flavoursome Indian dishes that are perfect at any time, but especially on a chilly winter's evening. Cost: Starters from $7.90 - $25.90. Mains from $16.90 - $25.90. When: Dinner every day from 5.30pm - 10pm. Lunch Thursday - Sunday from noon - 2.30pm.